„There is always a way!”. That must be the moto of Urbian, the company that developed the game Ringz for Android hansdsets. Basically, it´s a free collection of quite interesting puzzles and you need to arrange various balls in certain order. So, what do you do when you´ve played all available levels? Well, you can buy more directly from within the application itself... just like you would if you used an iPhone. This is just an example of a feature that´s not natively supported by Android, but the developer has found a way to build it into their application. Aside from Ringz, you can also find several other programs with the same functionality at Android Market – Oracle, Locale, Open Home. 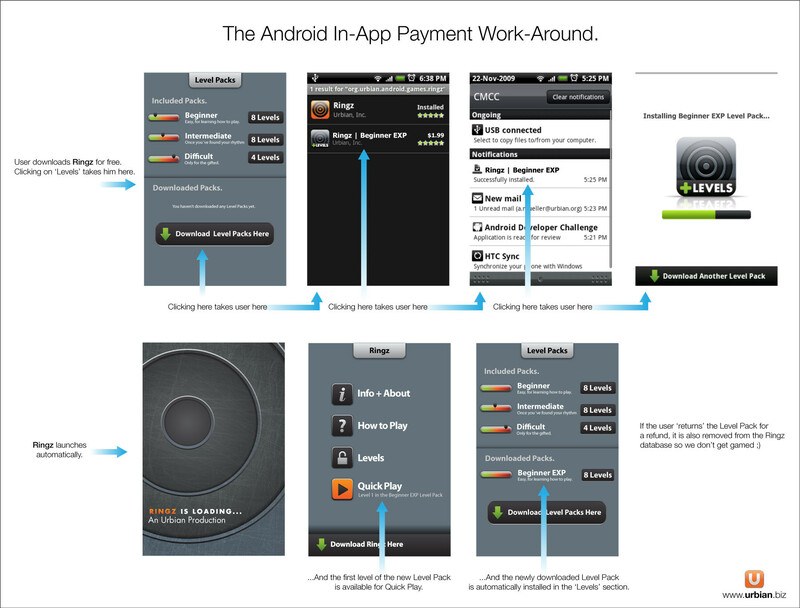 Android definitely gives developers the opportunity to be creative and fix functionality gaps in the operating system. By the way, take a look at Ringz, because the game is quite a brain-teaser indeed.